Auslogics Registry Defrag 10.1.2 Portable » TopFreeSoft.Net - Best Freeware Software! 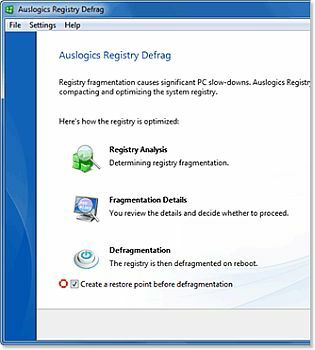 Download Auslogics Registry Defrag to defragment and compact the Windows Registry in less than a minute. The program will scan through the registry to remove slack spaces, reducing the registry size and ultimately the amount of RAM the registry takes up, and improving your computer performance.